Fergus Lyon is a Professor of Enterprise and Organisations in the Centre for Enterprise and Economic Development Research, Middlesex University in London and Deputy Director of CUSP. He is leading the theme of political economy and institutions. 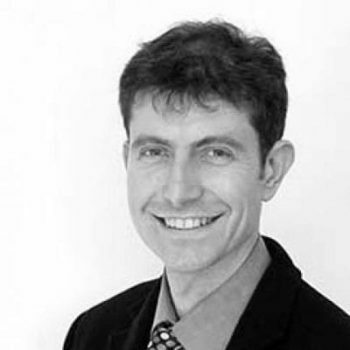 Fergus Lyon is a Professor of Enterprise and Organisations in the Centre for Enterprise and Economic Development Research, Middlesex University in London and Deputy Director of the ESRC Centre for the Understanding of Sustainable Prosperity. In this five year research programme, he is leading the theme of political economy and institutions, with a focus on researching alternative enterprise forms and alternative investment. His research interests include social and sustainable enterprises, alternative investment, enterprise support policy, organisational trust and transdisciplinary research practice. Recent funders include the Economic and Social Research Council, Cabinet Office, Dept of Business Innovation Skills, Innovate UK, International Labour Organisation, and a number of charities. In 2007 he was seconded to the Prime Ministers’ Strategy Unit (Health team) in the Cabinet Office. He was the social enterprise lead on the £10m Third Sector Research Centre funded over five years by ESRC and Office for Civil Society. Previously he has carried out research in Ghana, Nigeria, India, Pakistan, Bhutan and Nepal. He has been a trustee/director of a number social enterprises related to preschool education, conservation and farming. Fergus has over 150 publications including 40 substantial reports for policy makers funded by UK and international donors, 30 papers in established international journals, 25 book chapters, a number of shorter policy briefings. The second edition of his book, The Handbook of Research Methods on Trust, was published in 2015. Näslund, L. and Lyon, F. (in press) Trust in food: assuring quality, sustainability, price and availability. In Sim Sitkin, Rosalind Searle and AnnMarie Nienaber (Eds) The Routledge Companion to Trust, Routledge. Lyon, F, Mollering, G., Saunders, M (2015) Handbook of research methods on trust. (Second Edition) Cheltenham, Edward Elgar. Harris, F. and Lyon, F (2014) Transdisciplinary environmental research: a review of approaches to knowledge co-production. ESRC Nexus Network Think Piece Series, Paper 002. Blundel, RK and Lyon, F (2014) Towards a ‘long view’: historical perspectives on the scaling and replication of social ventures. Journal of Social Entrepreneurship. DOI:10.1080/19420676.2014.954258. Doherty, R., Haugh, H. and Lyon, F (2014) Social enterprises as hybrid organizations- A review and research agenda International Journal of Management Reviews 16, (4), pp 417–436. Vickers, I and Lyon, F (2014) Beyond green niches? Growth strategies of environmentally-motivated social enterprises. International Small Business Journal 32(4) 449– 470. Arvidson, M and Lyon, F (2014) Social impact measurement and non-profit organisations: compliance, resistance, and promotion. Voluntas: International Journal of Voluntary and Nonprofit Organizations 25, 4, pp 869-886. Harris, F., and Lyon, F. (2013), Transdisciplinary environmental research: Building trust across professional cultures, Environmental Science and Policy. Volume 31 109-119 http://dx.doi.org/10.1016/j.envsci.2013.02.006. Teasdale, S., Lyon, F. and Baldock, R. (2013) A methodological critique of the social enterprise growth myth. Journal of Social Entrepreneurship (April) 4 (2) 113-131. Arvidson, M. Lyon, F. McKay, S and Moro, D (2013) Valuing the Social? The nature and controversies of measuring Social Return on Investment (SROI). Voluntary Sector Review 4, 1, pp. 3-18. Underwood, S, Blundel, R, Lyon, F., Schaefer. A.. (2012) Social and Sustainable Enterprise: Changing the Nature of Business Emerald, Bingley. Lyon, F and Humbert, A (2012) ‘Gender balance in the governance of social enterprise’ Local Economy 27 (8) 831-845. Lyon, F. and Fernandez, H. (2012) Strategies for Scaling Up Social Enterprise: Lessons from Early Years Providers Social Enterprise Journal 8,1 : 63-77. Lyon, F and Sepulveda, L (2009) Mapping social enterprises: past approaches, challenges and future directions. Social Enterprise Journal 5, 1: 83-94. Lyon, F (2005) ‘Managing co-operation – trust and power in Ghanaian associations’ Organization Studies 27 (1), pp 31-52. Lyon, F and Ramsden, M (2006) ‘Developing fledgling social enterprises? A study of the support required and the means of delivering it’ Social Enterprise Journal 2 (1) pp 27-41.